Hosting a party is always a wonderful and fun idea though it can be overwhelming and a lot of work. If you are looking for party ideas, consider this: throw a party with a crepe bar! Whether it’s a birthday bash, anniversary celebration, wedding shower, or any other occasion, the entire experience will be unique with your guests enjoying every moment, and your party will be a success. If you do not have the skills or equipment to make this possible, don’t fret! All you need to do is hire catering services from Crepe Delicious. The most significant aspect is deciding your budget because this will influence the entire party planning process. Make up your mind on how much you can spend on a crepe party and look for catering services accordingly. 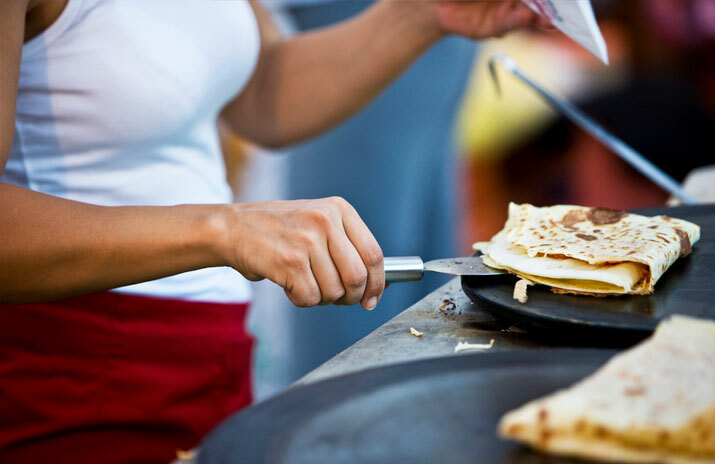 Make sure to ask your crepe caterer for details regarding payment options before finalizing everything. After setting up an estimate, you need to consider the location of the party. Pick whether you want it inside or somewhere outdoors and inform your caterer about it. Make a list of the people you want to invite to your party. Let your catering services know about the number to help them decide the quantity of food they should bring and other related details. After finalizing the catering services, choose the options for your crepe menu including the toppings, ingredients, and additions. Have a mix of sweet and savoury crepes in your party menu to appeal to a variety of tastes. Do not forget to consider any allergies or special food requirements of your guests like vegetarianism, food intolerances, or preferences while deciding on the menu and ensure that your caterer is aware of these specifications. How far in advance do I need to schedule you for the party? What other food options, besides crepes, do you serve? How many chefs would I require? Do I need to provide anything on the day of the party? How will you set up the crepe bar? What is your clean up routine? By choosing to use Crepe Delicious’ catering services, not only will you have delicious crepes prepared by experienced chefs, but you will also be able to enjoy the party without the hassle of food preparation. If you love the idea of having a crepe bar at your party, contact Crepe Delicious. You could also ‘Request a Catering Quote.’ Our catering chefs will make your party a sure hit!